To ensure the reliable operation of rolling bearings, correct lubrication is a vital and all too often overlooked factor. The main purpose of a lubricant is to separate the metal surfaces of the bearing’s components with a thin lubricating film to prevent wear. At the same time, the lubricating film reduces friction and therefore power dissipation, resulting in reduced energy consumption of the whole system. 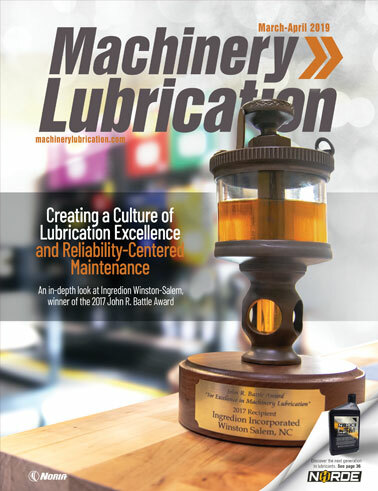 Nearly 40 percent of all premature bearing failures are caused by lubrication problems. The reasons for this are varied, but they often begin with mistakes during installation of the bearings as well as incorrect maintenance, such as failure to relubricate on time. Some problems can be traced back as far as the design stage of an application, with too little attention paid to the bearing arrangement and lubrication system, as the type of bearing used generally affects the lubrication requirements. Other criteria for selecting the proper lubricant include the bearing load, operating temperature, ambient temperature of the bearings, bearing speed range and possible contamination of the bearings. In addition to these technical factors, the costs of both the lubricant and the lubrication system must be considered. 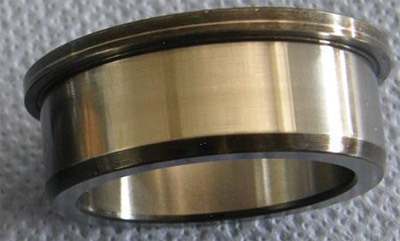 The effects of lubrication on the performance of a bearing can be seen in the following three examples. As part of a theoretical consideration of the bearings in a power take-off gearbox, the lubrication was investigated more closely. It was found that, under the given operating conditions, the lubricant’s viscosity was much too low to form a sufficiently effective lubricant film. Increased wear and a reduced service life would have been the logical consequence. Therefore, the use of a more viscous or thicker lubricating oil was recommended. To be on the safe side, a practical test was performed in which two identical gearboxes were filled with the lubricating oils to be compared and run for a period of 500 hours. 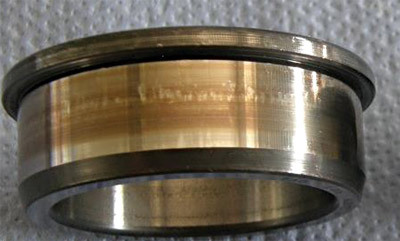 In the subsequent results, discolorations and initial signs of wear were clearly visible on the functional surfaces of the bearing run with the thinner oil (Figure 1). The bearings operated with the thicker oil did not show any signs of wear (Figure 2). The fear that the thicker oil would result in higher power dissipation proved unfounded. On the contrary, the gearbox with the more viscous oil exhibited fewer losses and a reduced operating temperature. This can be attributed to better separation of the metallic surfaces in operation, which more than compensated for the slightly higher fluid friction. During tests on a large, cooling water pump – a concrete volute pump with a vertical shaft in a cast concrete housing (Figure 3) – the axial bearing at the drive end repeatedly exceeded its permissible operating temperature, resulting in an automatic shutdown. On closer inspection, the use of an unsuitable lubricant for this application was identified as the culprit. The oil in question was a pure hydraulic oil, which did not meet the bearing’s requirements in terms of composition, i.e., additives or viscosity. The high measured operating temperature was the direct result of the metallic contact and resulting friction, especially between the side faces of the rolling elements and the guide lips of the shaft locating washers (see Figure 4). This caused irreversible damage to the bearings’ functional areas within a short time, in effect preventing reliable long-term operation. The bearings had to be replaced at considerable expense. 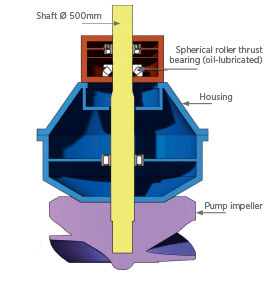 By changing to a suitably viscous oil selected for the application parameters and using spherical roller thrust bearings, a reliable separation of the contact surfaces and a low operating temperature were achieved. The plant has now been in fault-free operation since 2009. The screw pump in this example delivers fuel – both heavy and light oil – to diesel engines. To allow the oil to be more readily pumped and injected into the combustion chamber, it is first heated. Consequently, the screw bearings are also exposed to the high temperature of the fuel oil. 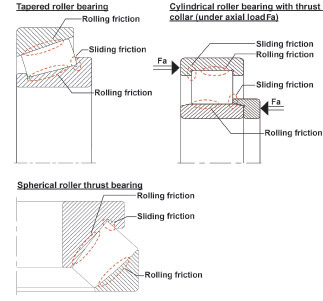 To realize the simple bearing concept required by the customer, i.e., a deep-groove ball bearing with integrated seals, a theoretical analysis of the setup was conducted. At the customer-estimated bearing temperature of 150 degrees C, a satisfactory solution was out of the question, as the lubricant’s service life calculated based on this operating temperature and the associated life of the bearing would fall short of the required values. Following further consultations, a temperature measurement was carried out on a test setup to determine the actual operating conditions. The result was a maximum bearing temperature of only 130 degrees C. By selecting a grease that was suitable for this temperature range and by maximizing the amount of grease in the bearing, the specified service life could then be achieved. 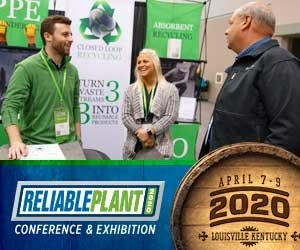 As can be seen from these examples, the operational reliability and durability of bearings can be significantly improved by correctly assessing and adjusting lubrication. This also helps to reduce initial costs and avoid other costs associated with premature bearing failures. 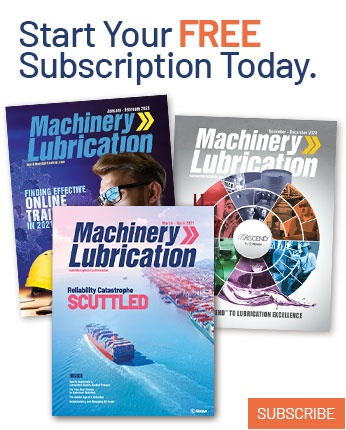 As a general rule, the sooner the issue of lubrication is addressed, the easier and more cost effectively potential problems can be dealt with or avoided.